Is the Hobie Sport right for you? Our buyers guide can help you make the right choice. The Hobie Sport is the kayak my kids first started pedalling in. Light, nimble and heaps of fun when you don't have to paddle. At the ages of 7 and 9, they could manage it easily. Go and beach it on your private sandbar as my kids did. 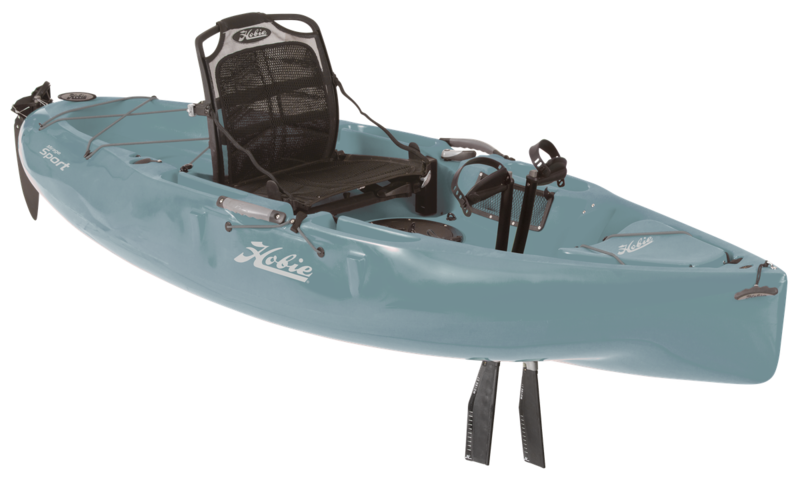 Creating your adventure is easy, and fishing in rivers and estuaries is where the Hobie Sport can take you. Lowrance ready for your fish finder installation, a front bow hatch, stowage pockets and an 8' hatch for in-hull tackle stowage. The Hobie Sport will comfortably fit people to 5' 8" in height and has a carrying capacity of 102 kgs. Comfortable, stable and efficient. 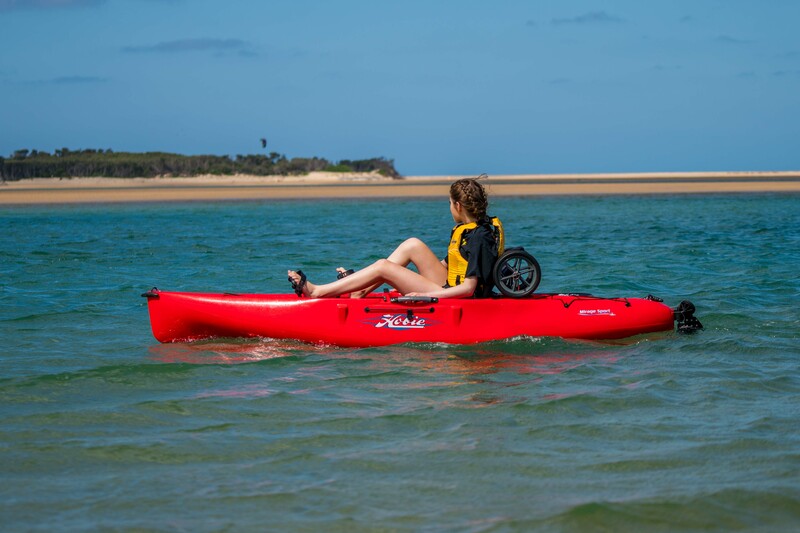 Our on water test drive days are done on Andersons Inlet, Inverloch. Click the button below to book your Hobie Sport test drive today.